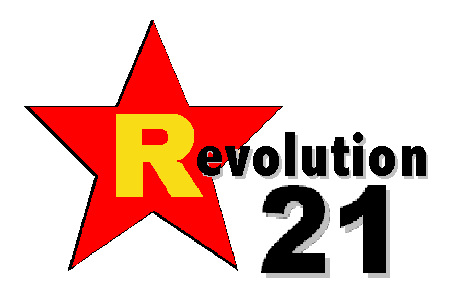 Revolution 21's Blog for the People: Whosoever shall seek to save his life shall lose it. . . .
Whosoever shall seek to save his life shall lose it. . . . If what I just read in the paper instead were a book, you'd have to call it "Profiles in Cowardice." 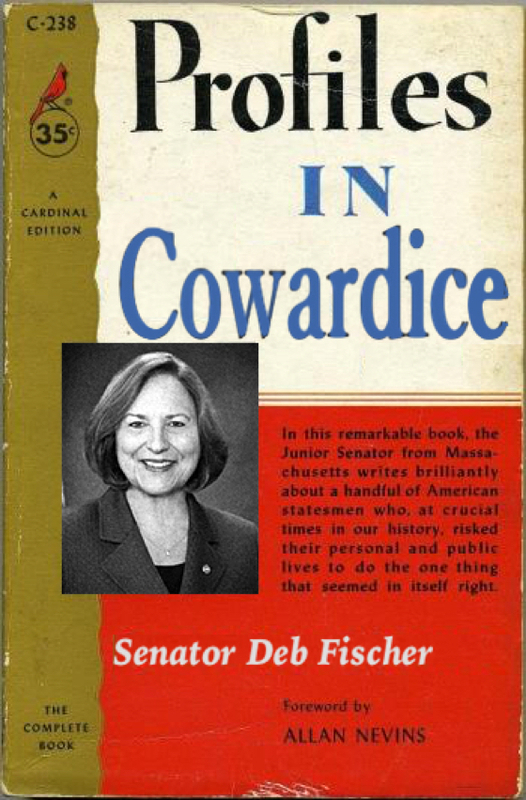 And our first profile in gutlessness, not to mention political amorality, is Sen. Deb Fischer of Nebraska. I wish I were shocked. Sen. Deb Fischer on Wednesday rejected fellow Nebraska Republican Sen. Ben Sasse’s call for a third-party conservative candidate in the event that Donald Trump captures the GOP nomination. Regardless of the nominee, Fischer said a third-party bid represents a “really poor strategy” that would only ensure a victory for Hillary Clinton. As president, Clinton probably would have an immediate opportunity to make one appointment to the U.S. Supreme Court and most likely more down the road. Fischer wasn’t the only Republican taking a hard pass on Sasse’s third-party proposal. Sen. Joni Ernst, R-Iowa, told The World-Herald that she’s sticking by her plan to support the GOP nominee, whoever that is. I DON'T AGREE with Ben Sasse on many things, but he has demonstrated here that at least he's a man of principle . . . and character. On the other hand, Deb, what you're telling Republicans is "Vote for the fascist; it's important." Let me put it this way: If you're a Republican who thinks it's important to vote for an amoral, fascist vulgarian who draws his political energy from the darkest recesses of the American soul, you are no better than Catholic bishops and laymen who sacrificed the innocence of children as they turned a blind eye to the predators in their midst and covered up unspeakable sins "for the good of the Church." Or party, as the case may be. They were, and are, pond scum. And you, madam, are a moral cipher. You are engaging in mindless political tribalism. You seek to get out in front of the mob in the hope it won't then come for you. But mobs aren't easily satisfied. The mob -- or the strongman -- will come for you soon enough. And you won't even have the small consolation of a holy death. POLITICIANS like you, Deb Fischer, are demonstrating to us why the Republican Party -- the party of Lincoln that's been disgracing the Great Emancipator for a long time now -- deserves that favorite punishment of GOP partisans everywhere . . . the death penalty. I just regret like hell that it's Donald Trump who gets to be the executioner.